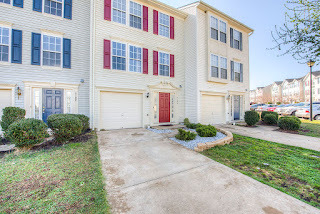 Luxury 3-level townhome w garage in Salem Fields. Spacious kitchen with all NEW stainless steel appliances, faucet, sink & granite countertops. Master bath with soaking tub & separate shower. Hardwood stairs and new carpet in bedrooms. Updated furnace, air & water heater. Cozy fireplace with granite surrounding. Huge driveway! I love Fredericksburg because of its numerous activities such as fishing, hiking, it is close to city life, and its’ wonderful restaurants. My favorite things to do in the area are fishing, sports activities with our children, and going to the parks. Our favorite restaurants nearby are Otani Japanese Steak and Seafood House, Texas Road House, and O’Charleys. Salem fields is a large neighborhood that includes townhomes, single family homes (single and multilevel). It is very kid friendly, close to shopping, and full of neighbors who look out for one another. I knew our home was the one because it was new construction and a good starter home with room to grow. Notable features in our home are programmable thermostat which includes access to a mobile app that allows remote access. We also have brand new stainless steel kitchen appliances with a 5 year warranty included. There is also a brand new hot water heater less than a year old, furnace , and air conditioning unit (2 years old). 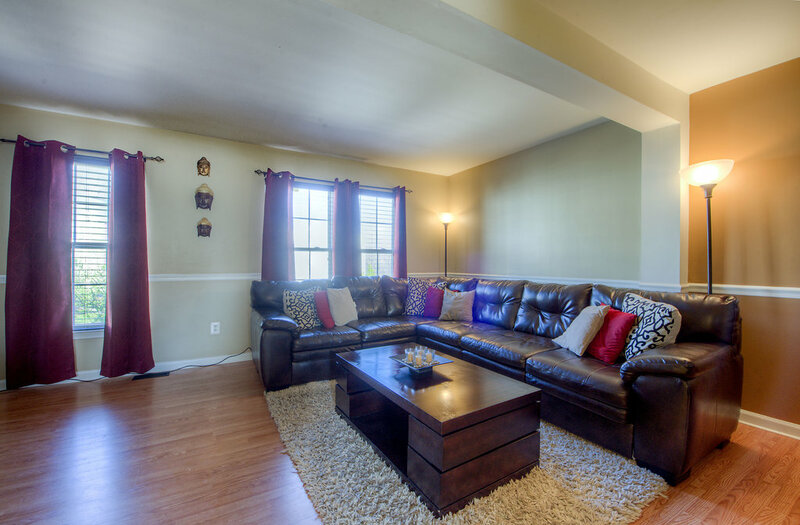 There is brand new carpet in all three bedrooms and hardwood stairs. 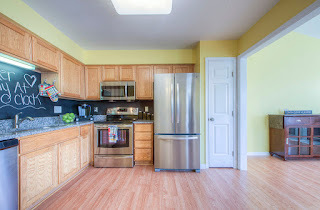 The kitchen has brand new granite counter tops with a new faucet and sink. Separate soaking tub and shower are in the master bathroom. 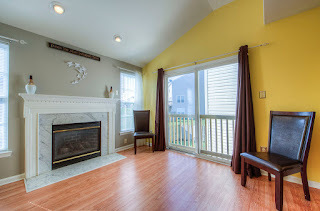 There is a beautiful granite fireplace in the sunroom. We have one of the few homes with a one car garage, and a driveway that fits 3 cars.